Mark your calendar. Book your travel. Get yourself to the best fundraising workshop of the year, so you spend more time changing lives and less time worrying about money. Join me and a roomful of like-minded passionate people, laughing and learning, where we work together to make a difference and save lives. No more guessing games or seeing what sticks. Follow a proven, easy system that creates big-time revenue to fully fund your budget, year after year. 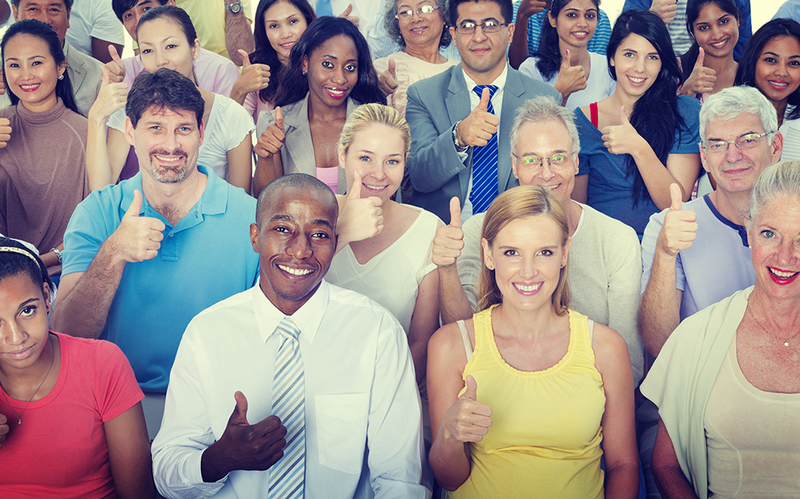 Build a loyal donor base. Create messages that motivate. Build a fundraising plan to fully fund your budget and double your revenue. This Isn’t Work. It’s Your Calling. You’re one of the lucky ones. You get to follow your heart and passion to make a difference in the world. But, do you have the money you need to help those who need it most? If you’re new to fundraising or you’re riding the roller coaster each month and can’t seem to bring enough money in, it can be hard to get everything done. Fundraising doesn’t have to be complicated or hard. 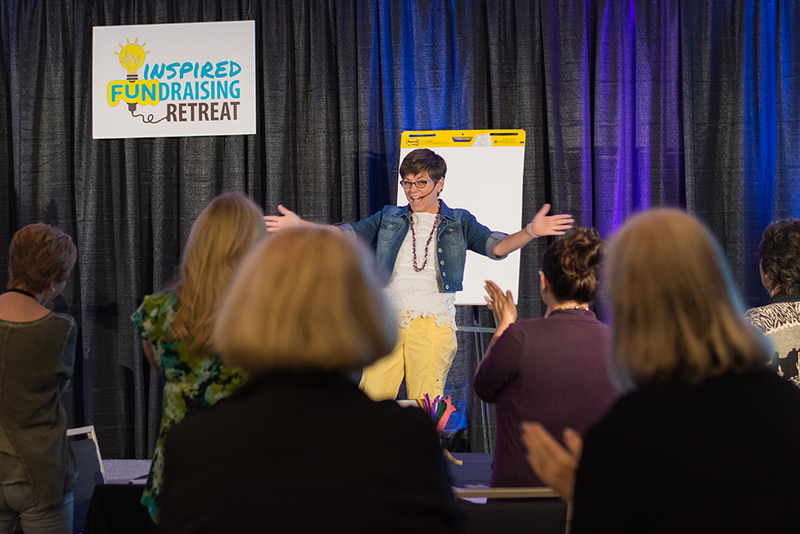 Join me at the Inspired Fundraising Retreat, a 2-day interactive and experiential workshop where you’ll learn how to build a big, loyal donor base, plan your year and create consistent revenue all year long…so you can finally stop worrying about money. You didn’t have to scramble for money because you have the tools and know-how to bring in big money any time you need it. You could have a year’s worth of fundraising, marketing, and communication activities that work the first time, so you stop wasting precious time and resources on DIY disasters. You could have the confidence (and the right words) to ask for what your nonprofit needs. You could focus on your passion — changing lives and making a difference in the world. You could be energized by other like-minded people, have a ton of fun, and learn how to inspire your supporters. 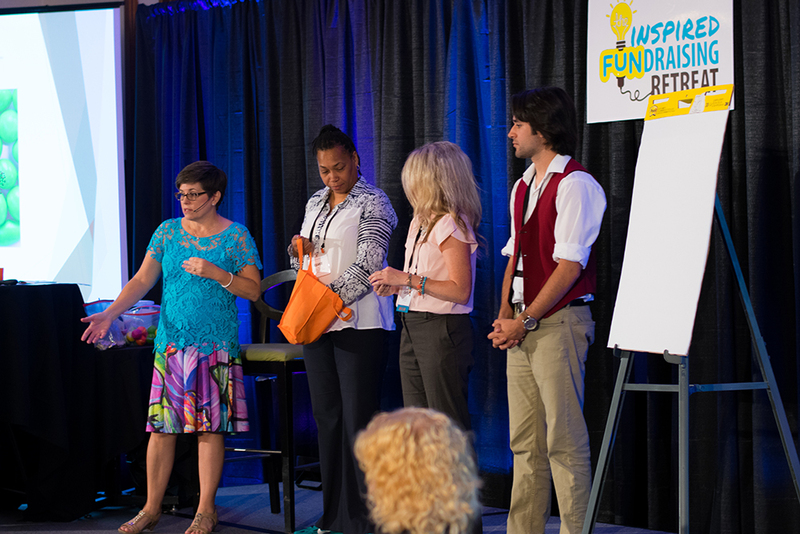 Join us for a life-changing workshop where you learn how to raise big bucks and fund your entire budget, all while having fun in an interactive and inspirational setting. Learn how to build relationships so that donors feel connected and stay engaged. We’ll show you how to surround yourself with people who love your mission and want to help you succeed. Keep donors reading, responding, and GIVING! Learn how to craft messages that resonate and stick with prospects so you open donors’ hearts and wallets. Learn what activities you need to include in your annual plan so donors don’t feel overasked but feel excited about the work your nonprofit is doing. Practical. Proven. 100% Ready-to-Use Content. Follow my 1-10-1000 Rule and build a year’s worth of fundraising, marketing and communication activities. We’ll also walk you through multiple scenarios, so you use your super powers to raise big bucks. Discover what to say in each of the 4 stages of a donor relationship so your asks and your communications are always spot-on and donors feel connected and engaged. Soak up ideas as we review real fundraising campaigns from the past year that worked BIG TIME!! Plus, you’ll get tons of checklists and worksheets to take home in the 100+ page workbook. Rejuvenate yourself with new ideas, fresh enthusiasm, and the energy to go back to work with excitement and confidence like never before! You’ll want to bottle how you feel so you can access it again and again. 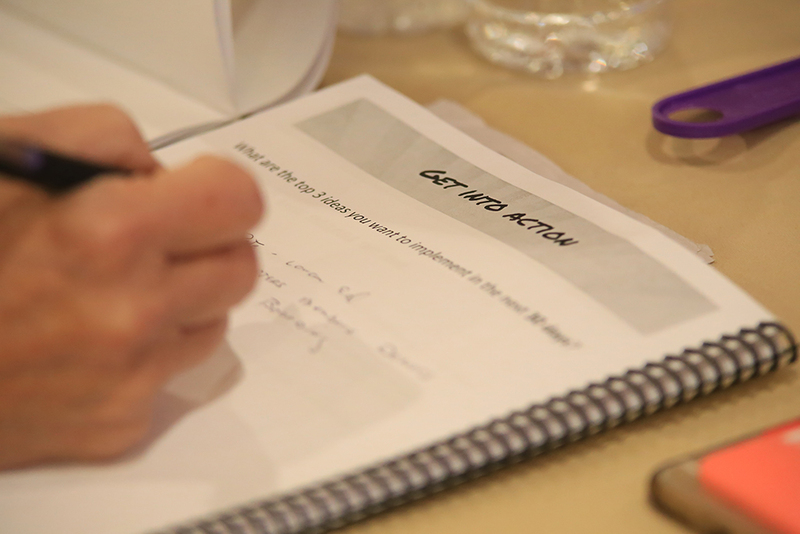 What is the schedule for the Inspired Fundraising Retreat? The schedule for the event is Friday from 8:30 – 5:30 & Saturday from 8:30-5:00. Coffee and tea will be available starting at 7:00 am each morning. You’ll get a long lunch break and ample breaks in the morning and afternoon to stretch, clear your head, and visit with sponsors. Can I get a discount for bringing additional people from my nonprofit? Yes! You can save $100 off the regular price for each additional person from your organization. You’ll have the option to add additional people to your registration at checkout. Yes! We’re providing lunch both days with vegetarian and vegan options. If you have special dietary requests please list it on the registration form. Is there a shuttle from Hotel Preston to the airport? Yes! Hotel Preston provides 24 hour complimentary airport shuttle service to the Nashville airport. Contact the hotel at 615-361-5900 to arrange a ride. Nope! Parking at Hotel Preston is free. Will there be internet access at the hotel? Yes! Wifi in your hotel room is free.